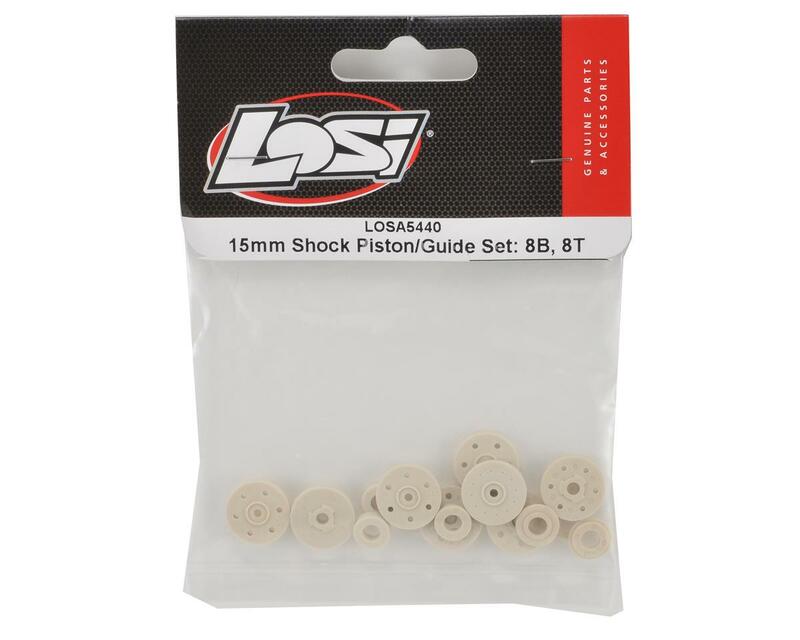 This is the replacement shock piston and guide set for the Losi 8IGHT racing buggy. 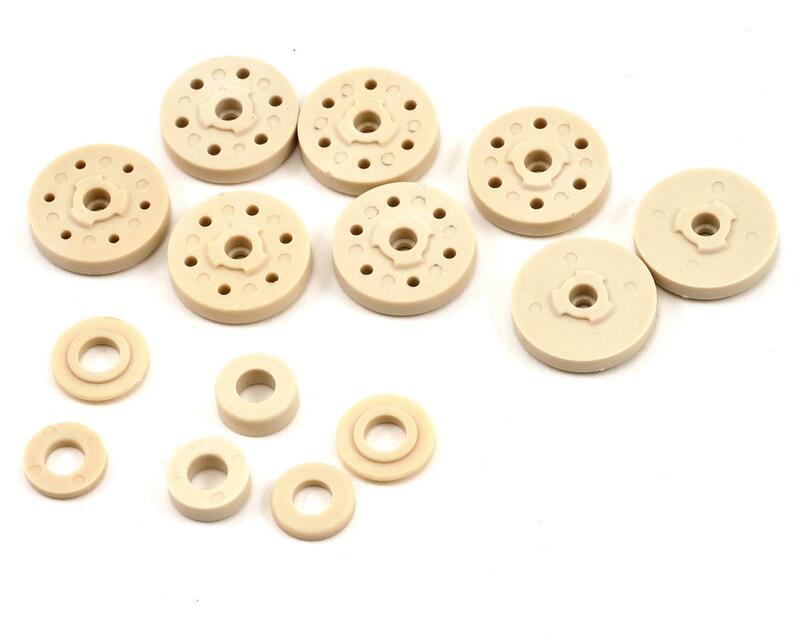 This set contains six shock pistons, two o-ring shields, and two shock shaft bushings. This set is a must for when you want to rebuild your shocks.